For this dangerous mission, Daniel will need a team he can rely on, so he brings in his closest friends from his years in the criminal world. There's Moth, who can take a bullet and heal in mere minutes. Jo Alverado, illusionist. The multitalented Cassandra, Daniel’s ex. And, new to them all, the enigmatic, knowledgeable Emma, with her British accent and her own grudge against the powers-that-be. The stakes are high, and the stage is set for a showdown that might just break the magic that protects a long-corrupt regime. I must admit that I thoroughly enjoyed this book. TOR was kind enough to send a copy for me to review and it did not disappoint. 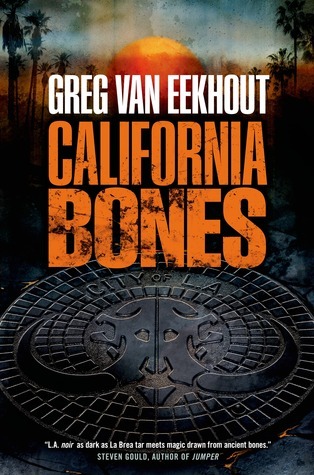 As per my understanding this is Van Eekhout's first attempt at writing a novel for adult readers and he did one hell of a job. The magic scheme was well thought out, granted I wish there was a bit more explanation and development, but super unique none the less. I could have gone for a bit more world building as well but I don't think this book was written in the idea that it would be an epic or trilogy, in which would require such a build. I put it along the same writing style as Daniel Wilson, very concise and action packed. Very to the point and a high energy read!